Access Control systems for schools have historically been complicated and expensive to install meaning that not many schools deployed them and yet controlling who has access to your school and knowing who is in at any given time has never been so important in this day and age. The popularity of access control systems for schools has grown steadily over the last few years, with most deployments being small and covering isolated areas of a site (such as a front door). These standalone systems are effective at protecting the area they cover, however don’t include the features and benefits which can be gained from a properly “connected” Access Control System. A good example of this is often where multiple standalone systems are deployed, programming of fobs and cards is a long and drawn out process whereby each individual needs to be enrolled separately on each system. With a connected solution enrollment needs to only be done in one location, the permitted areas are selected at the same time and the changes are immediately active. The same is true in the event that a fob or card needs to be deleted (eg if it is lost), it simply needs to be removed centrally and all doors are immediately secured from the misuse of a lost fob. With multiple standalone systems, the fob needs to be removed from each system individually, presenting a security risk. SchoolCare are a Paxton Accredited installer and offer a complete portfolio of Access Control stystems for schools, including the highly acclaimed NET2 IP door entry system for schools. NET2 utilises existing ICT infrastructure to secure all areas of your school. Extending Access Control beyond the front door, opens up multiple possibilities for delegated access privileges for individuals (both staff and guests), ensuring that people can only access the areas which they are permitted access to. NET2 can allocated delegated access permissions using a set of defined templates and therefore requiring no user intervention. Access Control systems such as NET2 integrate fully with CCTV and Visitor Management Solutions to become a complete solution. Snapshots of individuals can be taken automatically by CCTV systems when access is granted or denied to a specific area, these can be escalated to individuals to help negate security issues. Visitors signing in using a visitor management solution such as InVentry can be automatically granted access to specific areas and staff can use their ID cards to sign in and out of site, to provide time and attendance data. 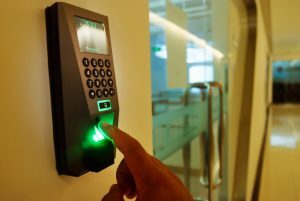 Access Control systems from SchoolCare are able to monitor and secure any and all aspects of an individual site, or multiple sites within an academy trust. From the front gate to the server room (and anywhere in between), you can be sure that only the correct people have access. In a multi-site environment (eg in an academy trust), it is often necessary for individuals to be granted access to multiple sites. Using a connected solution, staff can be issued with a single fob or card which can then be permitted access to any door or area on any managed site. This sites can all be administered centrally by a single person if necessary, alerts and information can be presented centrally therefore allowing multiple sites to be secured and monitored by a small team of people. Once deployed, Access Control can be extended beyond staff and visitors, to cover the entire student base. Using access control solutions from SchoolCare to secure your establishment can also be used to track time and attendance information for students, integrating with MIS systems such as SIMS to automatically take a register without the need for staff intervention. Time and attendance data collected by an access control solution can be integrated into Health and Safety systems for fire and evacuation scenarios, knowing exactly who is in the building. Integration with the on premises fire alarm system ensures that any exit routes which are secured by Access Control are failed “open” to ensure that exit isn’t impeded. To see how security and “people management” can be improved in your school, please don’t hesitate to contact us. Our experienced planning and installation teams will work with you to understand your requirements and help you understand the possibilities of a connected Access Control Platform. With Access Control Solutions from SchoolCare, installation costs are reduced by utilising existing infrastructure wherever possible, our engineers and planners and engineers will also integrate as much of the existing access control infrastructure as possible, such as Magnetic Door Locks, door releases and compatible proximity readers to further reduce costs and speed up installation. If your interested in access control systems for schools then please contact us.